Introduced in 1984, the M/84 camo is definitely one of the rarest but also the most renowned camouflages, up until now widely used by the Danish Armed Forces. 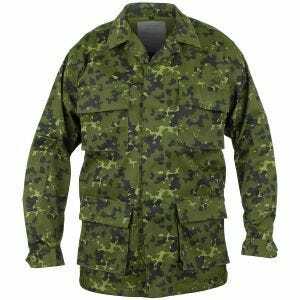 Based on the classic Flecktarn camouflage it uses the same shapes and pattern but has only three colours instead of five (black, olive green and light green) to better match the colouration of the Danish woodland environment. Characteristic spotty arrangement creates a dithering effect for human eye, which eliminates hard boundaries between the different colours in the same way the squares in the modern digital camouflage patterns do. 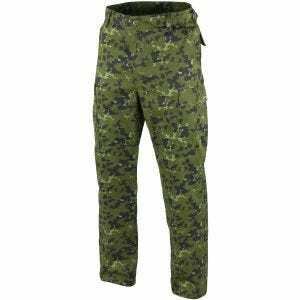 In general the pattern was designed for use in temperate woodland terrain across Europe, and would especially appeal to Airsoft, Paintball and hunting enthusiasts, fans of bird watching or nature photography. Available at the UK based Military 1st online store are combat trousers and tactical shirt in this in this distinctive camo.